Home is where yoga is. Travelling the world and living in Nicaragua, Peru and the US, Charlotte used her yoga practice as a way to create a sense of home for herself. She took a 200 hours Vinyasa Power yoga Teacher Training with Fred Busch in Miami, followed by 500 hours in Ecuador, focusing on Yin yoga, yoga Nidra and meditation. 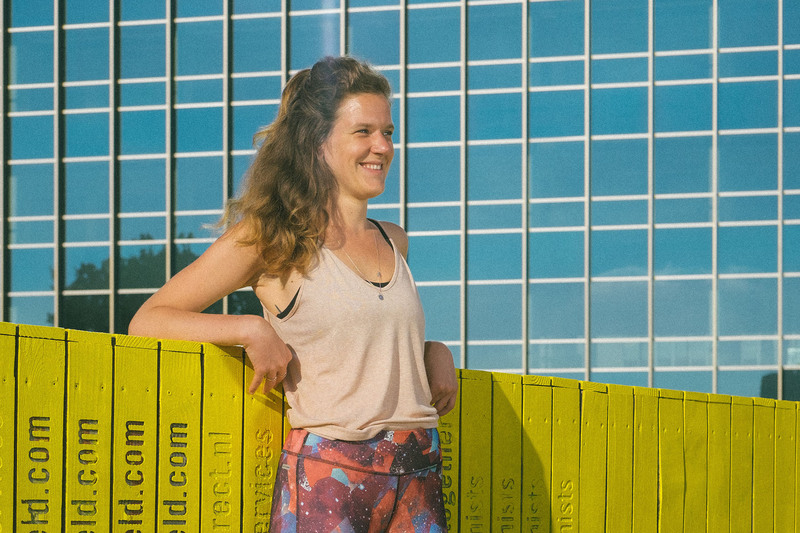 She recently moved to Rotterdam for love – only to fall in love again, with the city this time. She loves the melting pot Rotterdam is and likes to spend her free time wandering around the Nederlands Fotomuseum, drinking coffee at Picknick and paying visits to her favorite vintage shops.